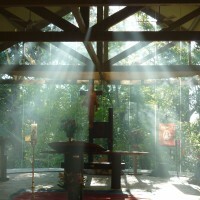 When visitors enter the Jamberoo Abbey church, the first thing to strike them is the stunning backdrop of full length glass windows behind the altar and tabernacle, bringing the beauty of God’s creation right into the heart of the church and allowing all who worship there to turn their prayer outward, for the world. The impact of the windows is no accident, according to the Abbey’s guest mistress, Sr Therese, but is an integral part of the church’s original design. “We are Benedictines and our work is to pray, so we pray for the world,” she says. 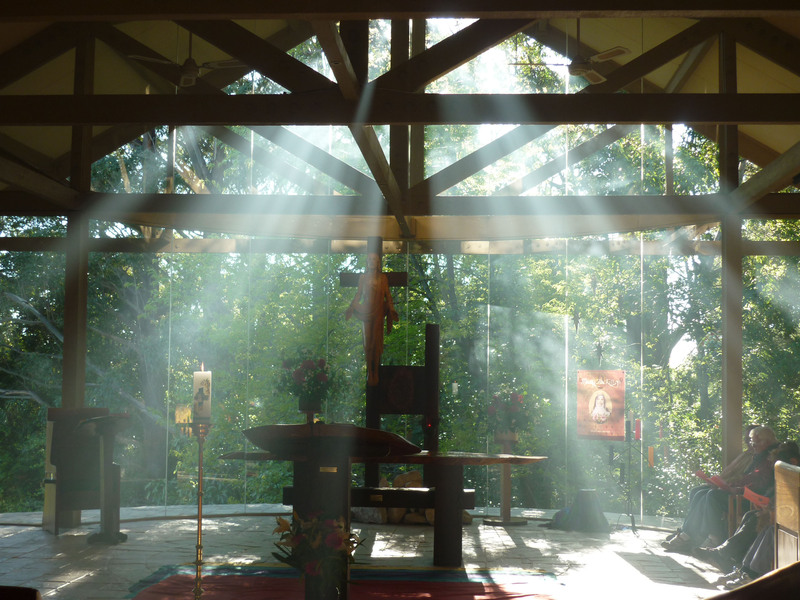 Sr Therese says the life of The Abbey is ordered towards one goal – seeking God – and the whole structure of the day is focused on that seeking, both individually and together as a community. “Our life is seeking God, with the Gospel as our guide and using the Rule of Benedict as our way of living the Gospel, with the underpinning of the vows,” she says. In accordance with the Rule of St Benedict, there is a great focus on balance in daily life, with a schedule designed to provide time for prayer, work, leisure/community and rest. The Sisters rise in the pre-dawn dark, and make their way to the candle-lit church for Vigils at 4.30am, the first of seven periods of liturgical prayer each day. They then have two hours for personal Lectio Divina/holy reading before Lauds and Eucharist. The rest of the morning is spent at work – either making candles for sale, working on the farm, giving spiritual direction, retreats, or carrying out other tasks necessary for the hospitality of guests and the upkeep of the Abbey. The work mornings are linked together with the praying of Terce at 11am. Then back to work until Middle Hour prayer and lunch (their main meal). There is a time for rest or leisure before None at 3.30pm. Then more work until Vespers, supper and community time, and finally Compline at 7pm, before night silence descends. Sub-Prioress, Sr Maureen Therese, says the way of life reflects an intense desire for God. “Because from the time you open your eyes in the morning until the time you go to sleep, your whole being is focused on God,” she says. “That’s what you want most of all. 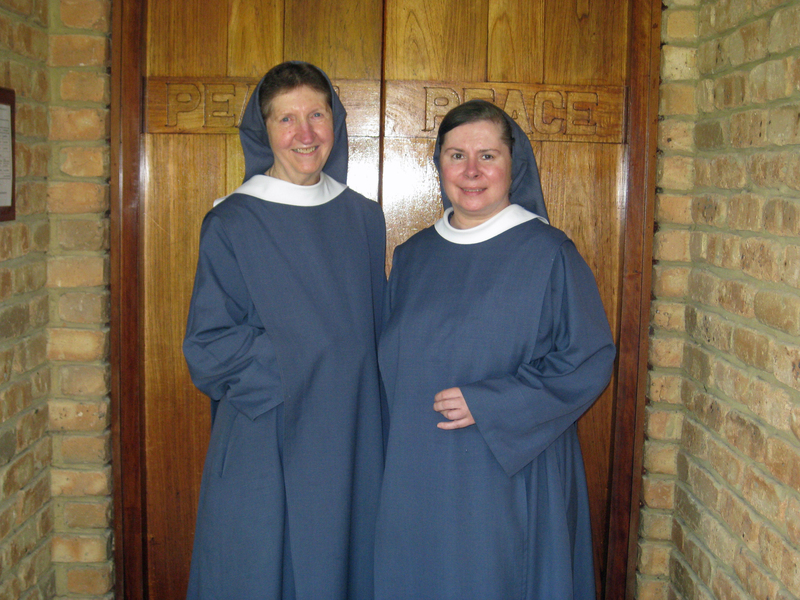 While their prayer reaches out to the world, the Benedictine Abbey at Jamberoo is an enclosed monastic community, which means that the nuns don’t leave the Abbey often, except on special occasions, or for more mundane reasons, such as buying supplies for the community or attending doctors’ appointments. They live by the vows of Obedience, Stability and Conversion of Life. Sr Therese says while at one level, Obedience means living under the authority of the Abbess, who “takes the place of Christ” (RB) in the community, it also has deeper implications. “Stability is a commitment to live in this place, with these people, for the rest of my life. So it’s very focused on living in community and our commitment to each other – to support each other, love each other, be there, be present, be Christ for each other. Because we’re on this journey together, and that vow really holds us together. It’s not always easy. But that’s what the call is. There are lots of positive aspects of that as well. For Sr Maureen Therese, the joys and challenges of community life reflect the joys and challenges of all the world. 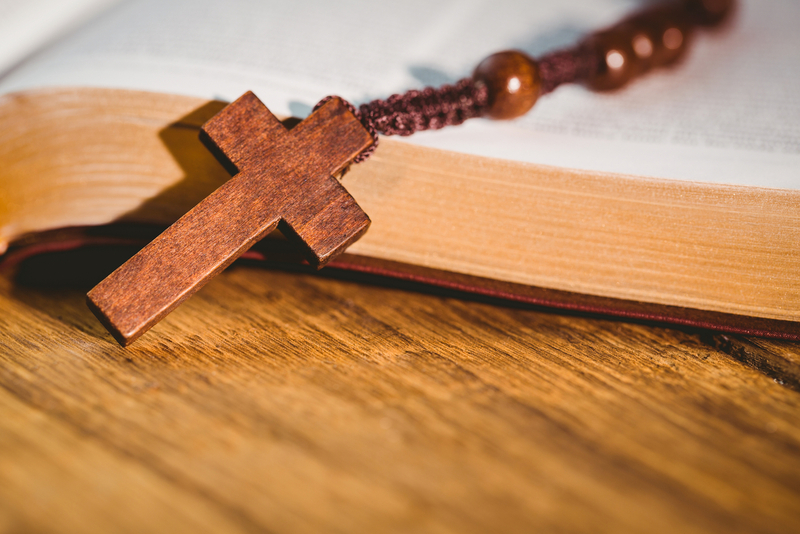 Hospitality is another characteristic of Benedictine life and the Jamberoo Abbey offers a peaceful, prayerful place for people to take time out of their busy lives and rest awhile with God. Sr Therese says she is often aware of how blessed the community is by the presence of guests. “It’s really the presence of Christ,” she says. “To be present to another is really the way to receive the person, just as they are, to be open to them. “I think that before I can Wake up the World I have to wake up myself,” says Sr Therese. “That’s where I have to begin and we as a community are called to wake up. It’s really the call to joy and to live with the awareness that we are the ones who bring Christ’s love, hope, faith and joy to others. We have to become Christ for each other, Christ for others, Christ for the world. That’s the great call. So my relationship with Christ is pivotal in all of this. That’s what really matters.